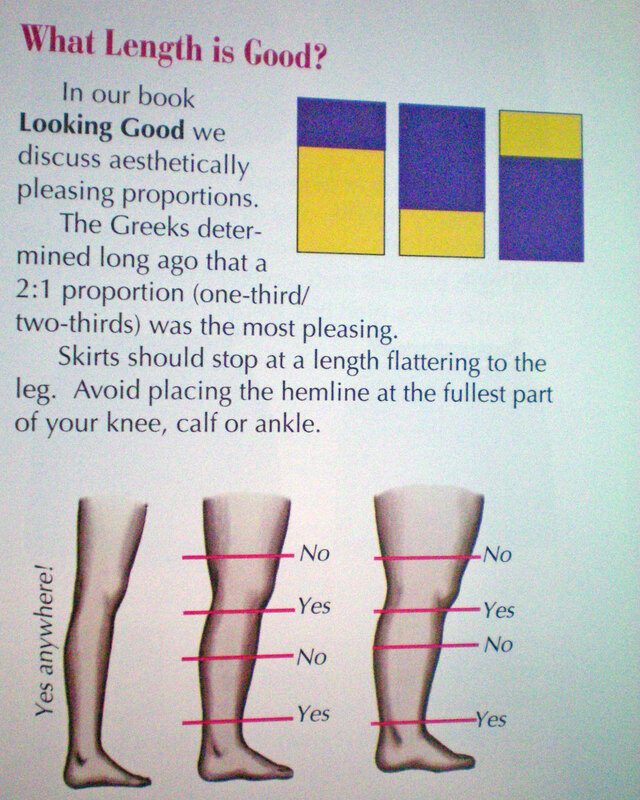 A book that digs deeply into the mechanics of properly fitting garments. It breaks down a vast number of fitting issues and then shows you how to alter your patterns to compensate. I appreciate how comprehensive this book is on the subject of fitting. You’d be hard pressed to find a question that isn’t answered, or an aspect of fitting that isn’t discussed at some point in this book. It’s fully illustrated with photographs and simple line drawings. The text is well written and easy to understand. 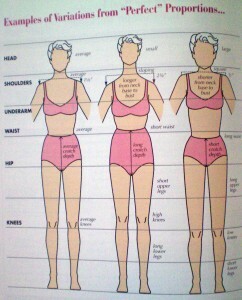 The book presents a unique way of analyzing your body to figure out your exact shape and fitting issues. This is a necessary step in the fitting process, because two people with the exact same measurements can have vastly different body shapes. 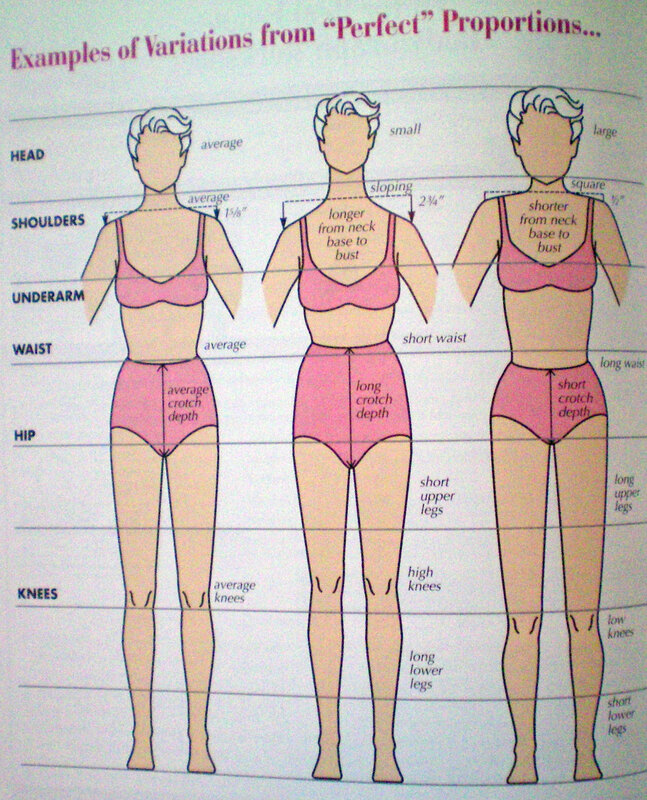 By measuring and drawing your body onto a life-size sheet of paper, it shows you how to find your proportions, to learn whether you’re petite or merely short, and to discover if your body is lopsided (and many of us are). By determining these things, you learn where, exactly, your patterns will need altering. Finally, it analyzes each part of the body, presents different fitting issues that might arise, and teaches you how to compensate for them. For example, I learned that I have a low, full bust, and narrow, forward, sloping shoulders, with one higher than the other. I have a wide, rounded back, and a narrow waist with wide hips and thighs. 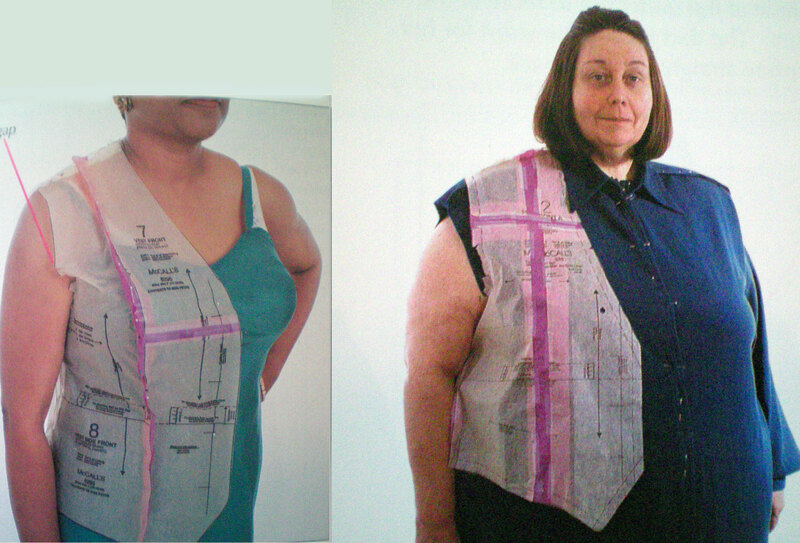 This means that I must perform a Full Bust Adjustment when I begin a new pattern. 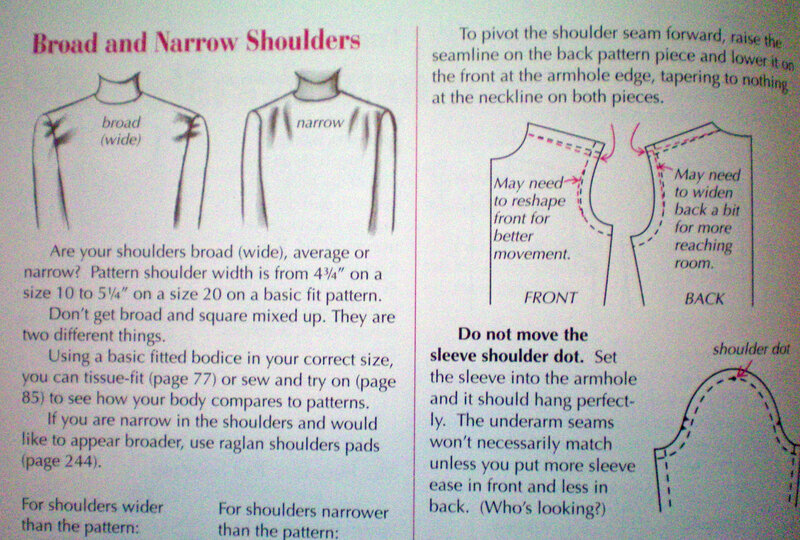 I must slope the shoulder seam, add width the to back armscyes and subtract width from the front armscyes. Often, I must add a dart at the top of the center back. 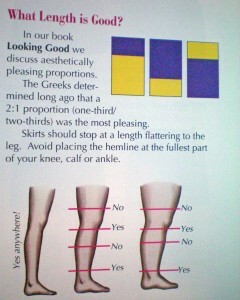 In addition, the book is filled with all kinds of tips on how to tweak your fitting for the best results. 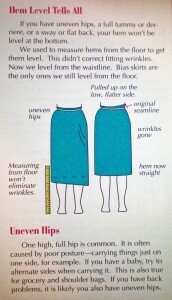 Things like adjusting your hem from the waist, not the bottom of a skirt . . . or where a hemline should hit your leg for the most flattering look. There are a number of real-life examples given, which include people of all ages, sizes, and shapes, ranging from teenage to elderly, from slender to obese. There isn’t much to dislike about this book. Really, the only thing I can mention is the fact that some of the fashions are a bit dated. (The book was published in 1998.) It hardly affects the content, however, so this is a very minor point. In fact, the majority of the illustrations are fashion neutral. If your patterns don’t fit perfectly when they come out of the envelope—you need this book. 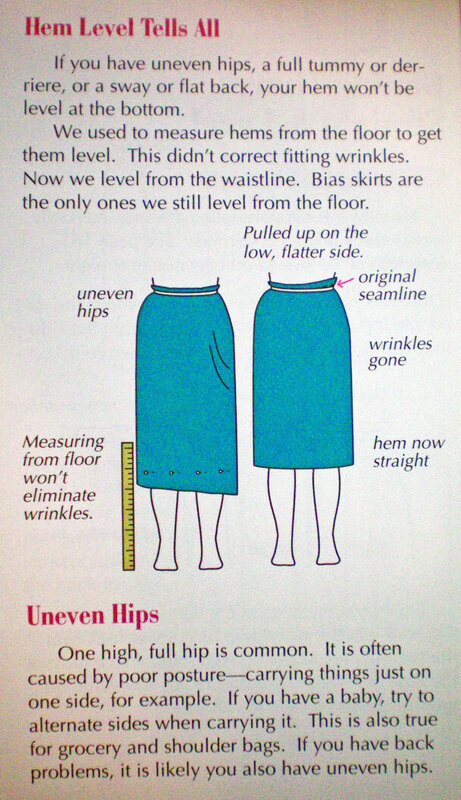 If you have issues with clothing that binds or pulls, wrinkles or gapes—you need this book. 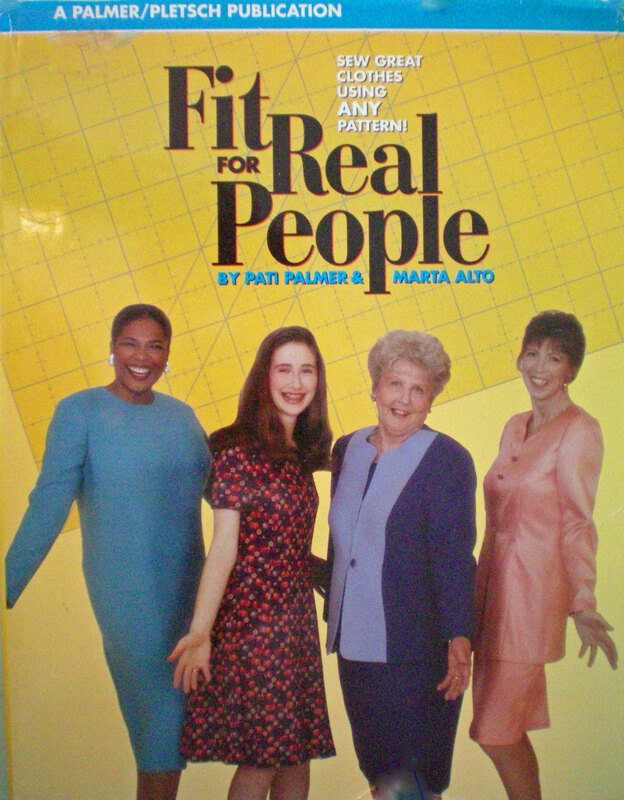 If you want to create garments that fit like they were made for you—you need this book! Basically? 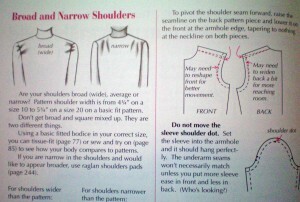 Anyone who sews clothing for themselves will benefit greatly from the fitting techniques taught in this book. I give this book five out of five stars and highly recommend it. Have you used this book? Did it make a significant difference in your fitting methods? Share your fitting trials with us! Thanks for the review. It took Marta and I 30 years to write this and another year when princess seams returned after 25 years. For anyone with a 1998 version, we have made available all the updates since then for a small fee on our website in case you don’t want to buy a new book. Thanks again for the kind words. Pati, thank you for commenting! I’m so glad you liked my review of your book. I definitely need to get the updated version of “Fit For Real People”, because mine is an older copy. Thanks for the reminder—and thanks for stopping by!